Two design-oriented research articles authored by the Information Systems & Service Design research group of the Institute of Information Systems and Marketing (IISM) have been accepted for publication in the Journal of the Association for Information Systems (JAIS). 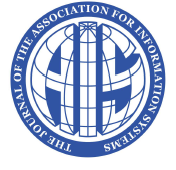 JAIS is the flagship journal of the Association for Information Systems and publishes highest quality research in the field of information systems. JAIS promotes innovative, interesting, and rigorously developed conceptual and empirical contributions and encourages theory based multi- or inter-disciplinary research. According to behavioral economists, a 'nudge' is an attempt to steer individuals toward making desirable choices without affecting their range of choices. In this paper, we draw on the nudge concept. We design and examine nudges that exploit social influence's effects to control individuals' choices. Although recommendation agent research provides numerous insights into extending information systems and assisting end-consumers, it lacks insights into extending enterprise information systems to assist organizations' internal employees. We address this gap by demonstrating how enterprise recommendation agents (ERAs) and social nudges can be used to tackle a common challenge that enterprise information systems face. That is, we are using an ERA to facilitate information (i.e., reports) retrieval in a business intelligence system. In addition, we are using social nudges to steer users toward reusing specific recommended reports rather than choosing between recommended reports randomly. To test the effects of the ERA and the four social nudges, we conduct a within-subjects lab experiment with 187 participants. We also conduct gaze analysis ("eye tracking") to examine the impact of participants' elaboration. The results of our logistic mixed-effects model show that the ERA and the proposed social nudges steer individuals toward certain choices. Specifically, the ERA steers users toward reusing certain reports. These theoretical findings also have high practical relevance and applicability: In an enterprise setting, the ERA allows employees to reuse existing resources such as existing reports more effectively across their organizations, because employees can easier find the reports they actually need. This in turn prevents the development of duplicate reports. Process knowledge is a vital prerequisite for employees to execute organizational processes successfully in the course of their daily work. However, the lack of process knowledge, especially of novice users, and the need for support pose a challenge to employers. Inspired by research on spatial knowledge and navigation, we conceptualize three process knowledge types addressing the needs of employees during their process execution. On the basis of these process knowledge types, we derive three theoretically grounded design principles for process guidance systems to support employees' process execution. We instantiate the design principles and evaluate the resulting artifacts in a laboratory experiment and in a subsequent field study. The results demonstrate the positive effects of process guidance systems on users' process knowledge and process execution performance. Our study contributes to research and practice by proposing a new conceptualization of process knowledge and a nascent design theory for process guidance systems that builds on theories of spatial knowledge and navigation, as well as decision support research.